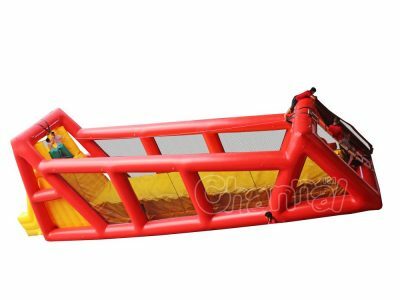 Inflatable zip line is a safe zip line game for kids and adults compared to usual ones like rainforest canopy, because the whole structure is air blown and built with pop ups at bottom as cushion air bag to avoid any potential injury in case of riders falling down. There is also a giant inflatable zip line obstacle course that adds zip lines into the inflatable obstacle course. 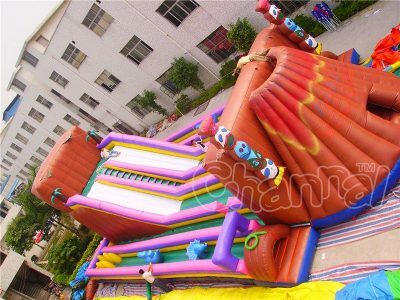 Channal Inflatables is a professional inflatable zip line manufacturer located in China, we can help you design and manufacture any custom inflatable zipline at a cheap price. 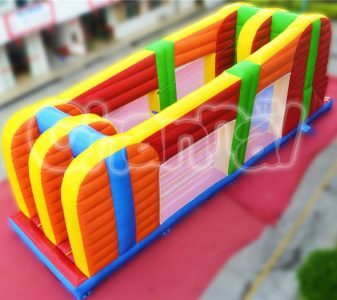 Buy zip line inflatable from us to save you some money and rent a high quality inflatable game to any party and event.